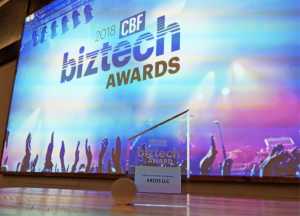 COLUMBUS, Ohio – December 5, 2018 – Columbus Business First has selected ARCOS LLC as a 2018 BizTech Award honoree in the Outstanding Product category for the software maker’s resource management platform, which utilities, airlines and manufacturers use to respond to daily and extraordinary disruptions to service and operations. Since then, the ARCOS platform has grown to become a critical resource management system for airlines and manufacturers. Prior to ARCOS, there was no single way to fully automate contacting and managing crews. The process was almost exclusively a manual one, linked with phone calls, spreadsheets and paper lists. These manual processes result in cancelled flights, an inability to keep production lines running at capacity, and employee grievances sometimes totalling $100,000 or more. With complex rules for how and when employees get overtime, employers relying on manual processes often struggle to get workers where they’re needed, which can delay flights or extend a power outage. 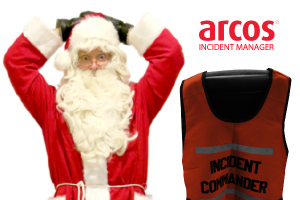 Flawlessly mirroring these rules and scenarios is a hallmark of ARCOS’s crew management software, damage assessment solution and automated callout system. The BizTech Awards highlight companies, like ARCOS, that are technology and innovation leaders across Central Ohio. The Outstanding Product Award recognizes firms that have achieved success launching unique, innovative solutions. The ARCOS platform consists of solutions such as: ARCOS’s crew management software, which managers use to automatically assemble available crews, analyze crew response and report outcomes; the ARCOS Damage Assessment solution for shortening from days to hours the process of surveying damage caused by major events like Hurricanes Harvey and Irma; and, ARCOS Resource Assist™, which automates the manual process of managing contracted or mutual assistance workers and equipment.